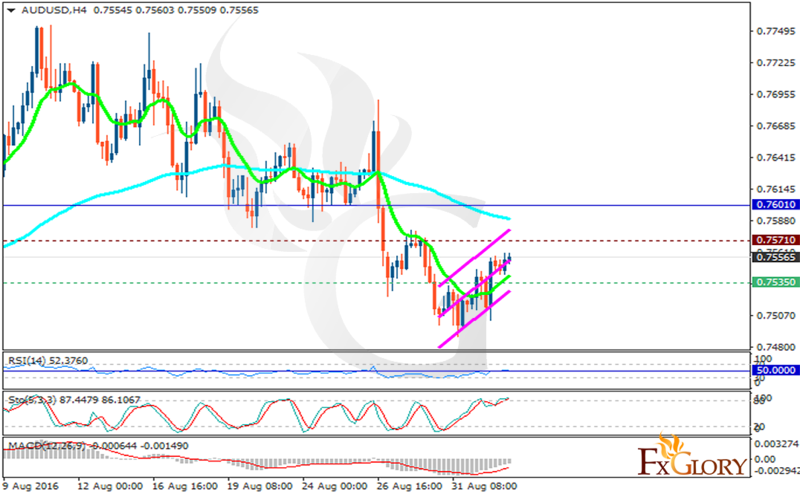 AUDUSD is being supported due to the Chinese Manufacturing PMI. The pair is finding support at 0.75350 with resistance at 0.75710 which both lines are below the weekly pivot point at 0.76010. The EMA of 10 is moving with bullish bias below the EMA of 100. The RSI is above the 50 level and the MACD indicator is in negative territory heading upward; however the Stochastic reached its maximum rate. Buyers can expect price growth towards the resistance zone at 0.7571.